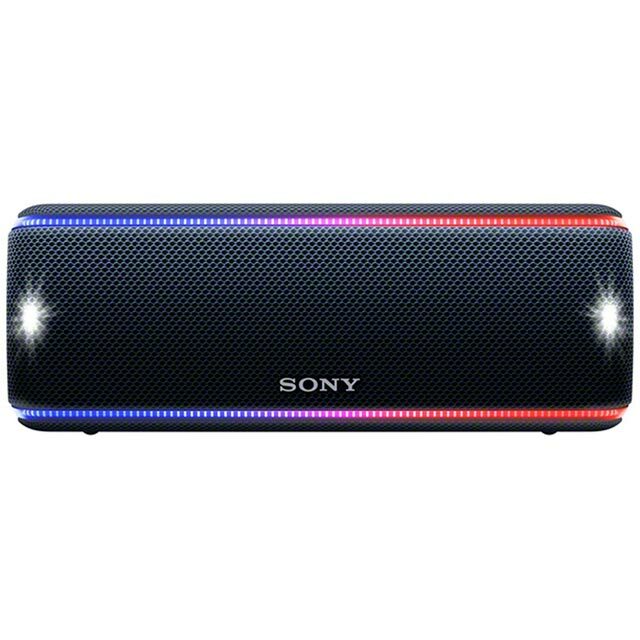 Get the party started wherever you are with this black wireless speaker from Sony. Whether you’re pumping out the tunes at a festival campsite, or looking to add a soundtrack to your poolside shindig, its 24 hour battery life means it’ll be rocking all night long. Plus, between the EXTRA BASS™ beefing up the bottom end and strobe effect lights that match the beat, you can really push the festivities to the limit. Don’t worry if it gets caked in mud or sand during the fray though, it’s both water and dust proof so you can rinse it off ready for the next bash. This portable speaker is the perfect choice if you want to listen to music wherever you are. It relies on a battery rather than an external power source, which means you can take it anywhere and simply connect it wirelessly to your smartphone or tablet via Bluetooth. 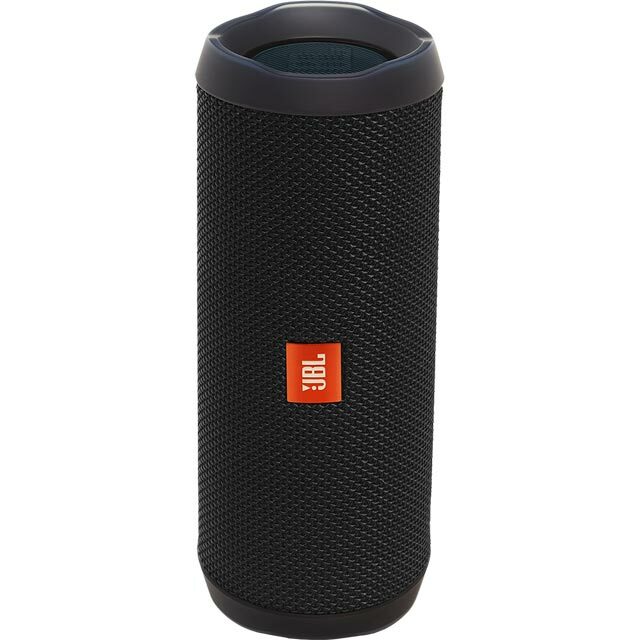 Perfect for days in the park, outdoor parties or any room in the home, it delivers a great, full sound that everyone can enjoy. This portable speaker has an incredible 24 hour battery life. It uses a durable, rechargeable battery which is built into the speaker, so you can enjoy your music for a much longer period of time. This means it will keep the music flowing all day and the party going all night, without needing to be recharged. This speaker is water resistant, thanks to its innovative water proof design. This means there’s no need to worry about rain if the weather turns bad, or any accidental splashes by the pool. It can even be submerged in water up to a depth of 1 metre, so it’s perfect if you like to enjoy music in the shower, too. This wireless speaker has specially-developed Extra Bass technology to deliver a deep, punchy sound which is perfect for dance music. Just press the Extra Bass button and get an added boost for those times when you really want to feel the rhythm.